Fantasy Football Keeper Question - Ryan Mathews or Jordy Nelson? I am in a keeper league where you keep 2 players from the previous season. I'm keeping Ray Rice for sure and maybe Ryan Mathews. Now that Mathews is injured do you think should I still keep him? My other tangible options are Jordy Nelson and Michael Vick. Thanks for writing in to TFF. Just last week Mathews was considered by many to be a top 8 overall selection but after sustaining his latest injury it is safe to say the jury is still out. 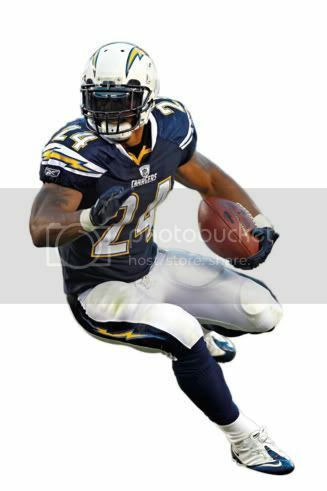 Mathews was forced from the San Diego Chargers first preseason game after only one carry! This being the third injury of note in the young running back’s career begs the question, is Mathews skill set worth the injury risk? I can understand you being tempted to keep him but there is no guarantee Mathews will have recovered from his broken clavicle in the 4-6 week time frame we have been given. I do not like his track record nor do I like his lack of toughness. As far as your keeper selection goes, quarterback is far too deep this year to keep Vick. You can get similar value in the middle rounds of your draft, or maybe even get Mike Vick back if you are lucky! If it’s me, I’m throwing Mathews back and keeping Jordy Nelson. I doubt we can expect another 15 touchdowns this season but 10 touchdowns should come easily. Nelson is one of Aaron Rodgers favorite targets and the Packers have far too many weapons to permit defenses keying on the young wide out. The combination of Nelson and Rice should provide a good foundation to build upon in 2012. Hope this helps! Feel free to write in anytime for unlimited free Fantasy Football advice!